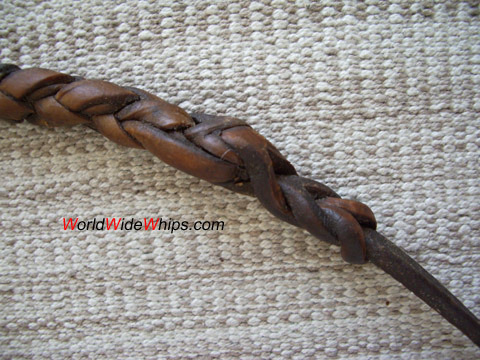 Detailed circus whip, braided from 8 strands of heavy leather, 6ft plus 1.3ft turned wooden handle. It was made in the 1980s for an artist of Circus Busch in the former GDR. The whip was used for target work. 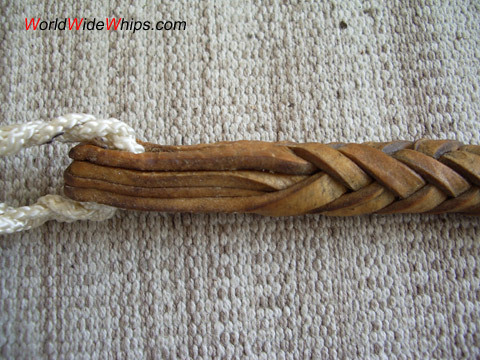 The detail photos show the start of the braid and the end, leading into a single strand as a fall.